When you make a purchase at UnlockHope, you contribute to helping the organisation pay for the necessary expenses - healthcare, food, housing, utilities, education, clothing, toiletries, etc. You've also heard about Emma Watson's HeForShe campaign that is trying to change the lives of females all over the world. If you support her campaign, then why not start changing a life by visiting UnlockHope to make a purchase so that the girls in Uganda can continue receiving education. Use the code "megoosta" for $10 off your purchase! I am very impressed by the product range over at UnlockHope. 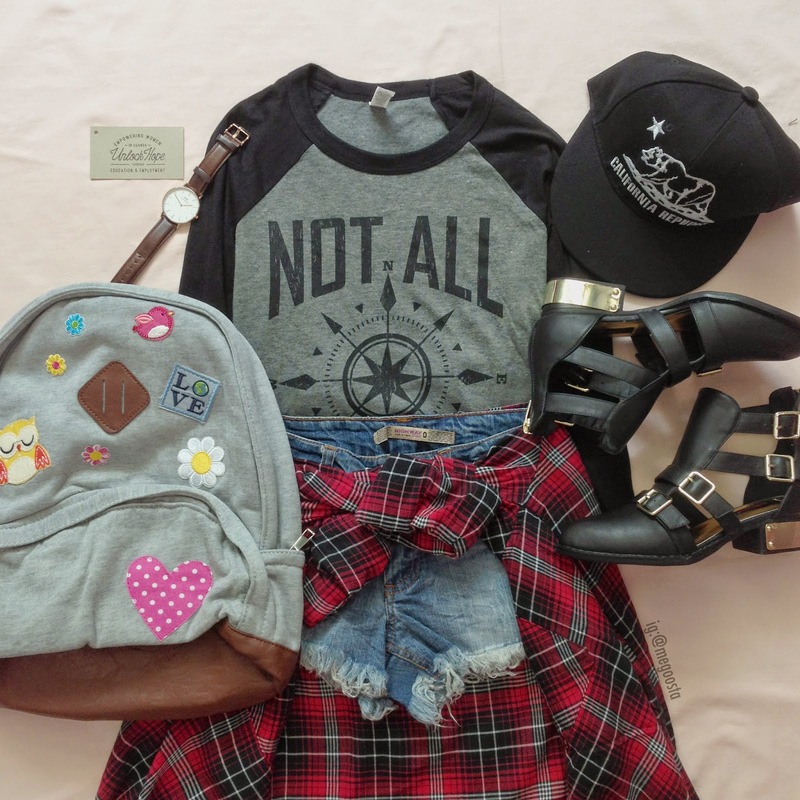 Apparels are well designed, keeping up with the latest trends. The graphics are incredible and the captions are well thought of. I am proud to display my UnlockHope products to you in this post and I hope you will visit the site to get your own tee or accessory! The first one over here is from the unisex section in size XS. 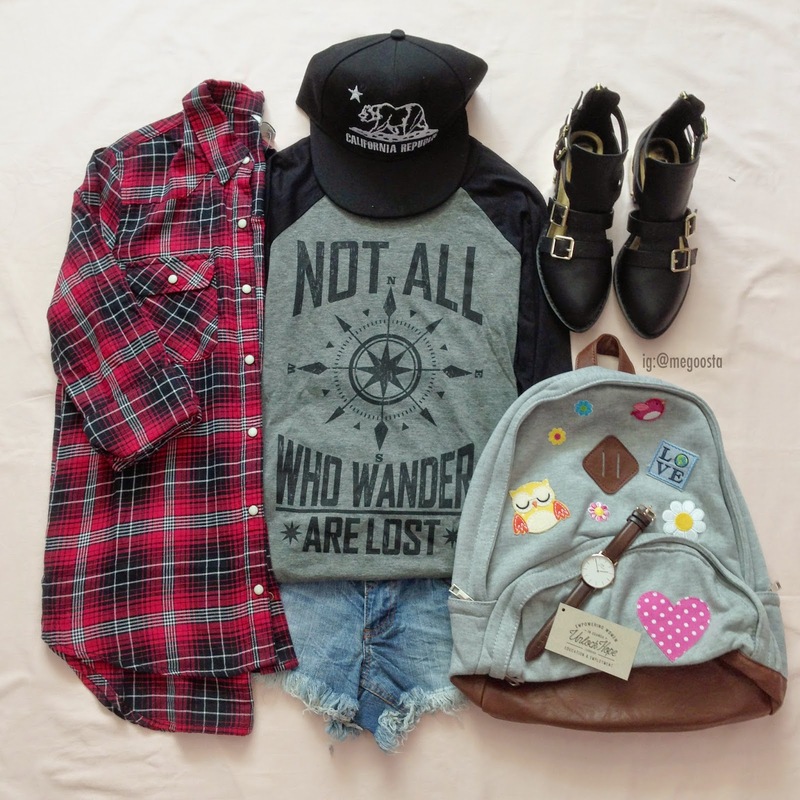 It is a baseball tee with a caption "Not all who wander are lost". You've probably seen this caption elsewhere and being a wunderlust, you definitely need such a shirt. This one has a cute compass print on it and the material of the shirt is super soft and comfy to wear. I paired it with a plaid shirt and denim shorts for a laid back look. It is a great outfit to wear to school and show off your UnlockHope pride! Just a different layout. I paired it with cut out booties but it will go great with sneakers as well! The next shirt is a maroon crew neck shirt from the women's section in size S. The caption reads "Lions don't lose sleep over the opinions of sheep". I think this is a rather empowering message and tells you to be confident of who you are. It reminds me of Deuteronomy 28:13 - "The Lord will make you the head and not the tail, and you will only be above, and you will not be underneath". So yeah, I think the message of this shirt is really good for everyone. This one comes in an equally soft and comfy tee that gives a slightly loose fit. The print looks great on the baseball tee as well. I was totally considering between this and that! Wear your shirts together with your bff because they look so cute together! 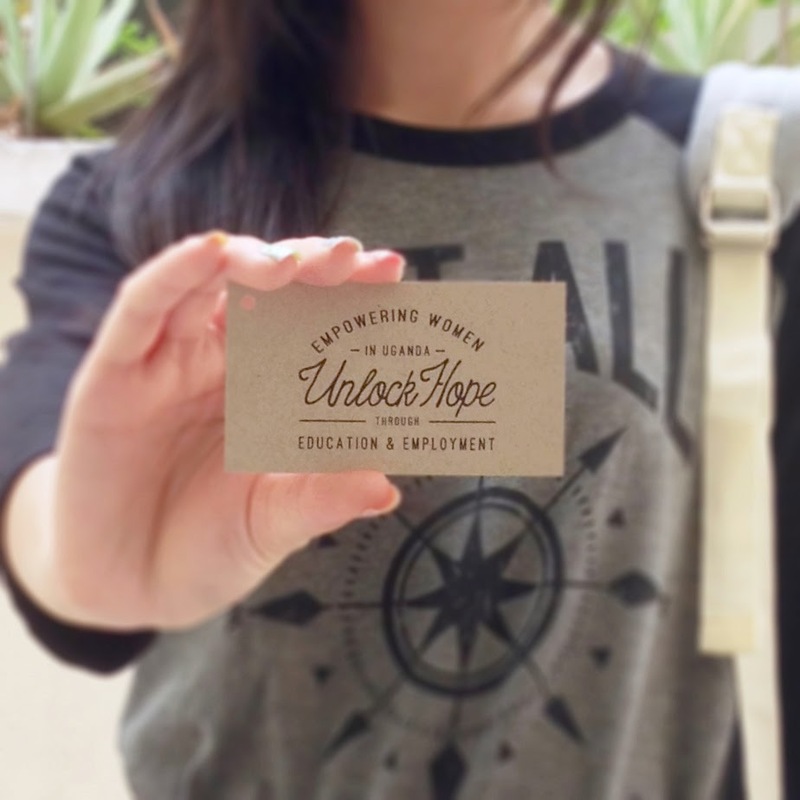 Look stylish, stay comfy and support a good cause over at UnlockHope! Remember to use the code "megoosta" to get $10 off!